• Providing a temporary reprieve from deportation for as many as 5 million immigrants who are in this country illegally. • Cracking down on illegal immigration at the border. • Prioritizing deportations to focus first on those immigrants who a threat to public safety. • Expanding the Deferred Action for Childhood Arrivals program. • Implementing a new program to help attract and keep entrepreneurs and people in science and technology fields. • Working with Congress to pass comprehensive immigration reform. WASHINGTON – On her eighth day without food, Alejandra Sanchez sat in the corner of the room in a downtown Washington church, soft-spoken and red-eyed, the lack of food showing on her tiny frame. 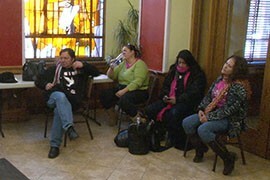 The former Arizona resident was among a handful of mothers who have been fasting – some for as long as 18 days – to bring action on immigration reform, splitting their time between the White House and Luther Place Memorial Church a few blocks away. That fast ended Thursday night, as President Barack Obama’s announced that he would take a series of steps on his own to fix what he called a “broken” immigration system. Senior administration officials said in a background briefing Thursday afternoon that the president’s plan would affect as many as 5 million of the estimated 11 million immigrants who are in this country illegally. The plan, which Obama was to outline in a White House speech Thursday night and detail Friday during a visit to a Las Vegas high school, includes areas where the president can “move forward on his own” to fix “as many problems as he can” without congressional approval, aides said. That approach has angered members of Congress, who have threatened lawsuits and budget cuts to stop the executive action that critics claim exceeds the president’s legal authority. The White House said the president’s plan would give millions of undocumented immigrants a reprieve from the threat of deportation, by prioritizing “felon” over “family” deportation. The plan would expand provisions of the 2012 Deferred Action for Childhood Arrivals program for immigrants who were brought here illegally as children. And it would let illegal immigrant parents of U.S. citizens apply for deferred deportation, and work permits, if they first passed background checks and started paying taxes. The plan would also increase border security efforts and streamline the process for granting visas, among other changes. In remarks prepared before his speech Thursday, Obama called the plan a middle ground between “mass amnesty” and “mass deportation.” And he again called on Congress to enact comprehensive immigration reform. Edgar Aranda-Yanoc, an organizer for the group of fasting women, which is known as the Dreamers’ Moms, said the women decided to end their fast even though Obama’s actions would only bring “temporary relief” without congressional action. Sanchez, who has lived in the Washington region for 14 years, still has children and other relatives in Arizona. 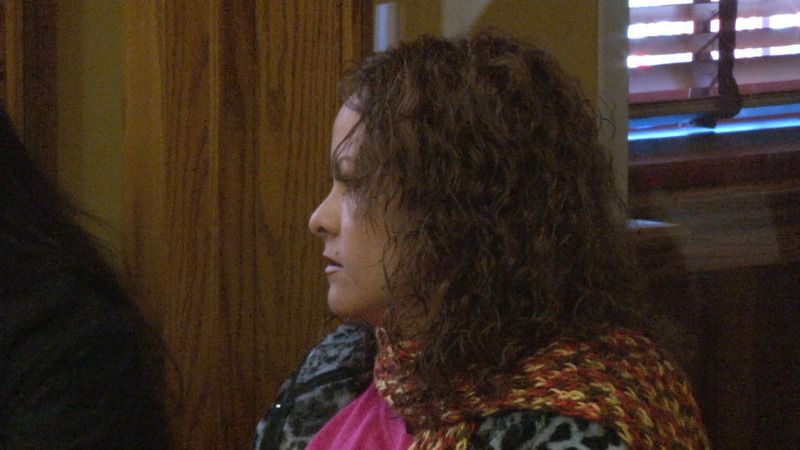 She said she is eager for reform because she and her husband live in fear of being deported. She was quiet Thursday as she talked about the end of her fast – she said her first meal would be chicken soup – and the impact of the president’s plan. But even after days on a water-only diet, her voice grew determined as she talked about what the plan would not do. It will only benefit a portion of the immigrants who are living in this country illegally, she said, and that is the reason why she and the other Dreamers’ Moms will continue their fight. 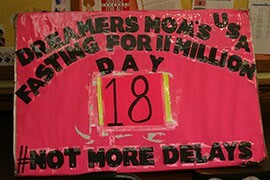 The undocumented mothers in the group Dreamers' Moms went without food, some for more than two weeks, to draw attention to immigration issues. They broke the fast when the president announced his plan for executive action. 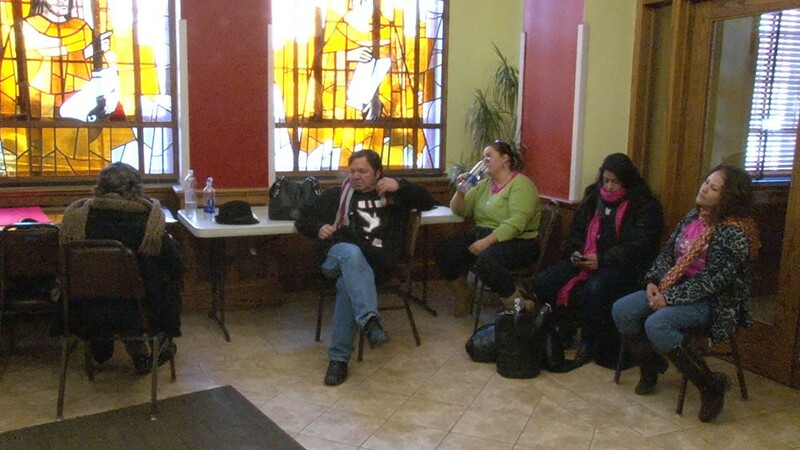 Reporter Stephen Hicks spoke with fasters at a church in the nation's capitol. Alejandra Sanchez, 42, an undocumented immigrant, said she was breaking her fast for immigration reform but not the fight, as more needs to be done, she said. 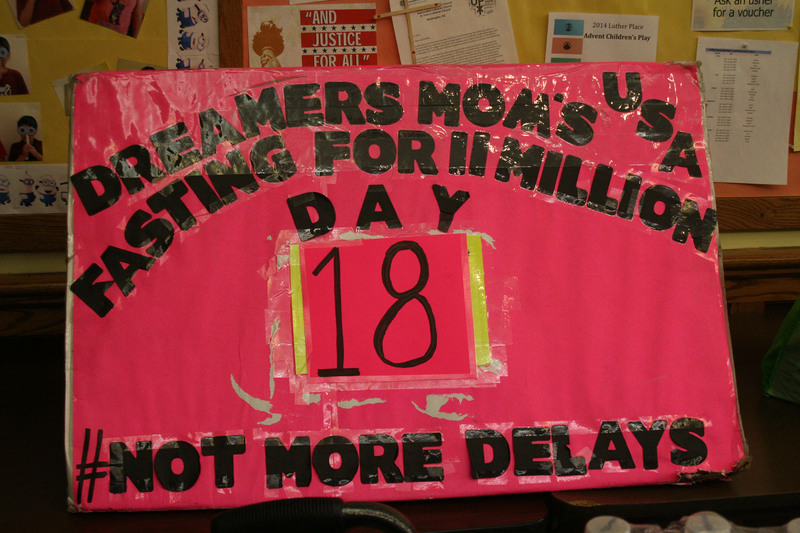 Some of the women in the Dreamers' Moms group had been fasting as long as 18 days to bring about action on immigration reform before the president unveiled his own plan Thursday. Hunger strikers, including former Arizona resident Alejandra Sanchez, right, broke their fast Thursday after President Barack Obama unveiled his own plan for immigration reform.